Daniel Craig at the world premiere of "Skyfall" in London. 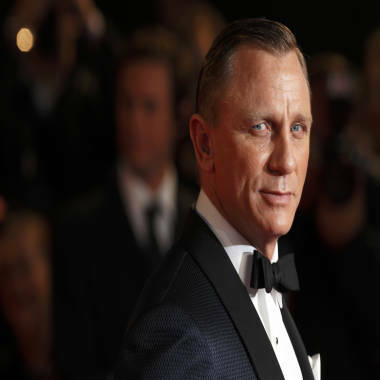 In a marketing bonanza for the new James Bond film "Skyfall," the Vatican newspaper L'Osservatore Romano has endorsed the movie for the world's one billion Catholics to see, despite the devilish ways of cinema's most notorious spy. The daily newspaper devoted a full spread to the Sony and MGM movie in its Wednesday edition, timed to "Skyfall's" opening in Italy. Reviewer Gaetano Vallini wrote that this Bond -- played by Daniel Craig -- is "less of a cliche, less attracted by the pleasures of life." Continuing, Vallini said the character is "darker and more introspective" and that because of this, "he is more human, even able to be moved and cry." The newspaper had four other stories about "Skyfall," including a Q&A with Craig and an article explaining why author Ian Fleming came to select the name James Bond. Sony wasn't immediately available to comment on the Bond package, which generated headlines around the globe because of its breadth. The edition's only other full page spread was about the 500th anniversary of the inauguration of the Sistine Chapel. L'Osservatore Romano editor-in-chief Gian Maria Vian is under orders from Pope Benedict to make sure the paper is attuned to pop culture, whatever the form. Directed by Sam Mendes, "Skyfall" began opening at the international box office last weekend, breaking records in the U.K. and grossing nearly $100 million to date. "Skyfall" opens in North America on Nov. 9 (it opens in IMAX and other large-format theaters Nov. 8). There are nearly 78 million Catholics in the U.S., representing 25 percent of the population. In the movie, 007's loyalty to M -- played again by Judi Dench -- is tested when her past comes back to haunt her. It's up to 007 to track down and destory the threat if MI6 is to be saved. Javier Bardem also stars. VIDEO: Does Daniel Craig still like doing his own stunts?